Halloween can be a frighteningly expensive holiday, with elaborate decorations, fancy costumes, and big parties to celebrate this scary holiday becoming more and more common. But it doesn't have to be. The most essential and traditional ritual of Halloween, trick-or-treating, is, of course, always free. In fact, the cost is all on the people the trick-or-treaters visit. But besides that must-do Halloween activity, there are plenty of fun and free Halloween events in Salt Lake City and surrounding areas. If you'll be visiting the area during the Halloween season, make note of these free events so you can celebrate the holiday in style without dropping a bundle. 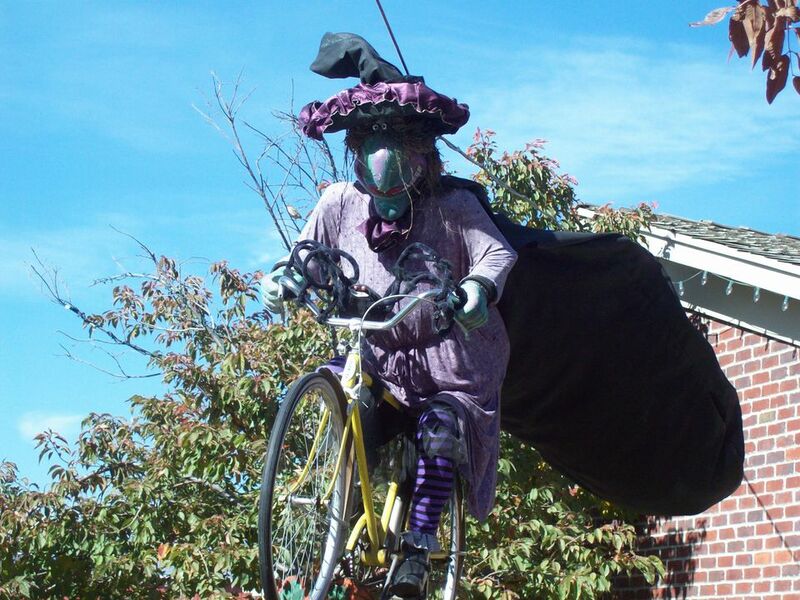 It's free to look at Gardner Village's bigger-than-life-size witches, and kids 12 and younger can complete a witch scavenger hunt to receive a discounted cookie at Naborhood Bakery. Gardner Village, located in West Jordan, offers many more special events during its annual WitchFest, which runs from mid-September to Halloween. Utah Foster Care invites the whole family to decorate a jack-o'-lantern and find out how to help Utah’s children in foster care. Joining Utah Foster Care at the event, which is held in mid-October at Gateway Shopping Center, will be Salt Lake City firefighters and Utah Educational Savings Plan representatives. The Utah Olympic Oval presents its annual Trick-or-Treat Street, a free Halloween event for the whole family. Activities include indoor trick or treating, bounce houses, a scavenger hunt, Halloween crafts, and a photo booth. There's also a climbing wall, pumpkin carving, and a figure-skating show. Kids 12 and younger skate free; skates are available for rent. Zombies, monsters, and witches await you at Witchstock in Ogden. This Halloween party at the Ogden Amphitheater features a zombie crawl that leaves from Union Station and travels down historic 25th St. before returning to the amphitheater. After the crawl, stick around for a dance party (the Monster Bash) and live performances. The Witches Tea scheduled before the zombie crawl requires tickets; otherwise, all events are free. For a casual, kid-focused Halloween event, check out these hometown celebrations in the Salt Lake City area. They are all free. Herriman Howl: This features a Mad Science show and prizes for the best-decorated Trunk or Treat trunks. Draper Haunted Hollow: This party includes carnival games, candy, prizes, a pumpkin patch, and live entertainment. South Salt Lake Halloween Spooktacular: This event is held at the Columbus Center and features games, food, bingo, a haunted house, and live entertainment. Riverton Halloween Bash: Hear spooky stories read by the mayor, go on a Troll Stroll, and search for the Great Pumpkin. Tickets for Scare Rodeo can be purchased online or at the door; all other events are free.